Queenslanders may be united when it comes to State of Origin football but up north there is growing discontent about the way Brisbane governs. Maverick federal Independent MP Bob Katter is in the news again with discussions on forming a new political party. This is on the back of his nation stopping actions last year in deciding which side of politics he would support after the hung election results. History editor Glenn Davies reflects upon the source of both his and Bob Katter’s strong sense of independence — the community of Charters Towers. During the past week there have been public statements by federal independent Bob Katter to establish a new independent political party of disaffected bush nationals: state Liberal National Party MPs Vaughan Johnson, Shane Knuth and Alex Douglas have been approached to form the new political force. Queensland is governed from a state capital located a great distance from the majority of its land area. Over the years this has led to a mistrust of and sometimes open dislike of the southeast by Queenslanders living to the north. Indeed, it has been quipped that the Queensland government logo could represent all the State’s resources draining to the southeast. In 1970, Professor Geoffrey Bolton wrote a history of north Queensland called A Thousand Miles Away. It is in this title that much of the sense of independence and suspicion of north Queenslanders towards the people in Brisbane can be sensed. It is this feeling of isolation and a continuing frontier mentality that pervades the thinking of the people of the north. It is feelings such as these that Bob Katter, “the force from the North” has tapped into to push for north Queensland to become a separate state. Bob Katter is the independent federal MP for the Queensland seat of Kennedy, which he has held since 1993. He has long been a fixture in a diverse seat that stretches from the Gulf of Carpentaria and Mareeba in the north to Boulia in the south, and from the Queensland—Northern Territory border to the Pacific Ocean. At more than half a million square kilometres, Kennedy is the biggest electorate in Queensland and the third-biggest in Australia. In fact, it is more than two and a half times the size of Victoria. Existing since Federation, the seat is named after Edmund Kennedy, an early explorer of Cape York. 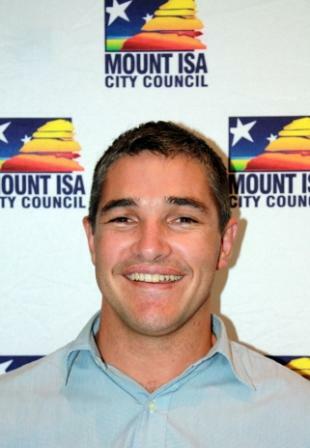 Katter’s electorate office is in Mount Isa, but he lives in Charters Towers. Kennedy can truly be called Katter Country. The Katter’s have always reminded me of the Phantom. The job is passed down from father to son but the name always remains. 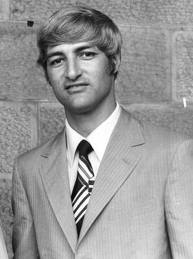 Bob Katter followed in the footsteps of his father, Bob Katter Snr, who held the seat for 24 years. Elected to federal parliament in 1966, Bob Katter Snr held the vast north Queensland federal seat of Kennedy for the Country Party, and then the National Party, until 1990. A highly regarded coalition politician and minister, Katter Snr had been an ALP supporter before the Labor-split in the 1950s and in the 1980s was a leading critic of the ‘Joh-for PM’ campaign. Interestingly, his son Bob Katter Jnr had been a member of Queensland’s one-house parliament, representing the Charters Towers-based seat of Flinders, since 1974 where he served as Bjelke-Petersen’s minister for Aboriginal affairs. With his flourishing white hair and trademark R.M. Williams hat, Katter Jr was one of the few state or federal Country/National party politicians respected by Aboriginal clans and their leaders. Katter Snr died of cancer shortly before the 1990 election and his seat was won by the ALP. However, his flamboyant son won it back in 1993. 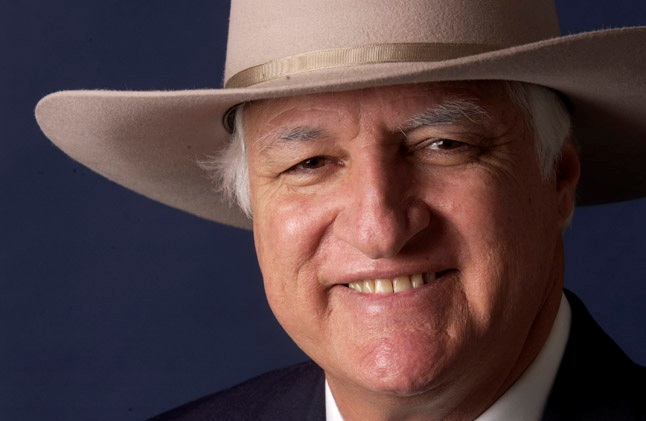 Bob Katter Jnr was a National Party MP for most of his parliamentary career, until he chose to stand as an Independent in 2001, citing as his reason disenchantment with the National Party’s economic policy. Specifically, he was opposed to the elimination of tariffs and subsidies for agriculture, policies he said were killing the sugar, banana and dairy industries that dominate his electorate. He won in a landslide. Much of Katter’s electoral success is due to the fact that he articulates and champions the interests of rural industries and of rural employment against a Nationals brand that has, in his opinion, become captive to the philosophies of free trade, economic rationalism, deregulation and corporatisation. He is “old-school” Country Party. Bob Katter has continued to be re-elected and is one of three independents in Australia’s lower house. This sense of political independence portrayed by Katter is a reflection of the community he represents. The north Queensland town of Charters Towers is a deeply conservative and yet strongly independent community. In some ways, both Bob Katter and I represent different aspects of the independent history of Charters Towers. We both draw our political ideals from the same well of independence held deep within this Northern Queensland community. Mine draws upon the nineteenth century goldfield independent streak reflected in the emerging union and labour movements and the republican advocacy of the 1890s. This is a tradition that stayed with the community well into the 1950s. However, around the time of the Labor split in the 1950s, the community moved towards the country party. It is from this tradition that Bob Katter draws his support. A long time resident of Charters Towers, Bob Katter personifies the independent stand taken by town since the 1960s. He is reflecting the bush feeling of independence from urban dwellers. For them, it is the bush where the real Australia still lives. However, Katter is also drawing upon the strong narrative of an alternate northern capital located in Charters Towers and its long story of independence. My family on my maternal grandfather's side have lived in Charters Towers since the 1890s, with each generation involved in the mining industry. Growing up in Charters Towers in the 1970s and 1980s my political outlook drew upon my large extended family's working-class mining heritage and deep personal roots within the gold mining town. In particular, it was my grandfather's stories of life working the Charters Towers gold mines, and his memories of his father working the goldfield in the 1890s, that moulded the way I saw the world. It was obvious that I would approach life with a strong commitment to support the Australian labour movement. But it was the egalitarianism of the goldfield that seemed to absorb me growing up in Charters Towers. I always had the strong feeling that 'jack is as good as his master'. Charters Towers was a country town of conflicting and clashing ideas. There were townies and bushies; small businessmen and workers; rural conservatives and Labor supporters. A Marxist scholar could have a field day defining class lines and divisions. However, class lines in western Queensland have not changed much. There is still a tacit division between old establishment figures and non-land owners. To marry into the landed gentry is still viewed by many bride’s mothers as a step into a better world. It was these early observations of rural class conflict that sparked my interest in republicanism. In 1977, I remember seeing for the first time Star Wars. For a thirteen year old it was the Empire versus the Republic — with the rebels being the good guys fighting against the evil Empire. My first republican moment was played out within the confines of the aptly named Regent Theatre. It was here the working-class community in the historic gold-mining community of Charters Towers cheered on the successful overthrow of the Empire by the rebels within the grand flourish of a space opera. Built during the gold-rush era of the late nineteenth century, the Regent Theatre stood firmly on the periphery of the British Empire. But now it held a republican people cheering on the rebels struggles to overthrow the rule of an evil Emperor. A few years later, the Regent Theatre became a skating rink. Still the people attended, although oblivious to the edifice of monarchy surrounding them. Years later it became a Crazy Clark’s emporium. How this must have embarrassed the old royals. Finally it became a storage building. "intimately connected with the bush and that it derived rather from the common folk than from the more respectable and cultivated sections of society". For Ward, mateship was forged in the hostile environment of the bush and was adopted by the rural unions of the shearers and miners in their famous struggles against the pastoralists during the 1890s. Ward's 'bush legend' was collectivist and democratic in politics. It was the labour historians of the 1950s and 1960s who showed how the organised working-class were the heirs and custodians of the radical nationalist tradition. It was within the radical nationalist historical tradition that I wrote my history honours thesis at James Cook University on the history of the 1890s Charters Towers based Australasian Republican Association. My republican leanings draw from a time before the “The Bob’s Katter”, an older Charters Towers — a time of miners and working class endeavours. The frontier gold town of Charters Towers was one of the major centres of radical republicanism in the colony of Queensland. Settled in 1872, Charters Towers developed into a thriving reef-mining centre. In 1877, with a population approaching 4,000, it was declared a municipality and by the 1880s, it was one of the major Australian gold reefing fields. During its heyday in the 1890s, Charters Towers was the second town of Queensland with a population approaching 30,000. Since the nearest major town, Rockhampton, was a long boat journey away, all the services necessary to civilisation in a very large area of Queensland were concentrated in Charters Towers. It was perhaps this isolation that fostered the nickname “The World”. Separated from NSW in 1856, and buoyed by the influx of overseas capital, especially from Great Britain, Queensland’s mining and pastoral industries were booming by the 1880s. For all its radical ferment, it is important to remember that although both Charters Towers newspapers in 1887 were anti-royalist and foresaw the coming of a Federated Australian republic, Charters Towers still largely reflected the attitudes of an English city transplanted to the antipodes. The boom of the 1880s, with an extraordinary influx of British capital, involving about five million pounds, had transformed the Queensland economy. The flood of money and employers hungry for profit encouraged the growth of strong trade unions. When relations between employers and workers became strained, the labour movement often blamed the interests of British capital. From here it was short step for many workers to advocate for a republic and separation. A republican association was formed in Charters Towers in 1890 with a platform similar to the Bulletin’s and within months it had a membership of over three hundred. For the Australasian Republican Association the word republic meant the establishment of individual and political rights. The editor of their journal, the Australian Republican was one of the great republican firebrands of the era, F.C.B. Vosper. "...A grand United Republic under the Southern Cross which, profiting by the experience and errors of others, shall be as pure and perfect as it is possible for things human to be." He believed republicanism was an expression of the civic individual, and not subservient to factional politics or religion. 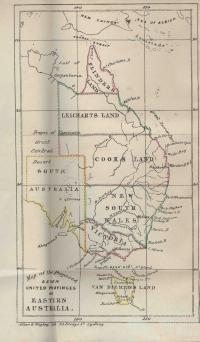 In 1852 John Dunmore Lang had proposed in his Freedom and independence for the golden lands of Australia: the right of the colonies, and the interest of Britain and of the world, the division of the future colony of Queensland into three subdivisions. In the wake of the formation of Queensland as a separate colony in 1856 it was widely believed that further subdivisions would take place. Since the establishment of Queensland as a separate colony, secession movements have arisen first in northern and then in central Queensland. Before federation, secession movements even sent representatives to England to pursue their case. During the 1890s, the Separation Movement was especially strong in Charters Towers with the establishment of a Separation League. In 1891, the Charters Towers republican editor, F.C.B. Vosper won the separation essay prize. Since federation, numerous efforts have been made to push the Queensland Government into action. New state groups have organised conventions and petitions to further their goals. At times they have even been close to achieving their aims. In 1910, the Queensland Parliament passed a motion proposing that Queensland be divided into three distinct states. However, the motion was never enacted and despite the efforts of many they have never again come so close to success. A lack of political will – both in Britain and Brisbane – the existence of anti-secession groups, as well as divisions within new state supporters have all contributed to the retention of a single state. The North Queensland Self Government League proposes the division of Queensland by the 22nd parallel with the boundary of the new state running just south of Sarina on the coast to the Northern Territory border between Boulia and Mount Isa. It also proposes the capital should be at Sellheim, near Charters Towers, to overcome rivalry between Mackay, Townsville and Cairns. "We have been economically massacred in the north ... it’s the tyranny of the majority being in south-each Queensland – the winner takes all." Proponents hoped and, as Katter’s statement reveals, continue to hope, that the further division of Queensland would lead to enhanced government and bring economic benefits. At the 2010 North Queensland Local Government Association meeting the fight for independence intensified with 98 of 100 delegates voting in favour of the motion. Bob Katter has called for a referendum on the issue at the 2012 council elections. The manner in which Bob Katter made his decision to support either federal Labor or the Coalition after the 2010 federal election demonstrates his true independence of character. Bob Katter’snew party has been dubbed the Australia Party. The talks are said to have been revived in recent weeks as a back-up option because the former bush Nationals were disgruntled by Liberal Campbell Newman's takeover of the Queensland Liberal leadership. But there is more going on here. There is the issue of independence for the north and the bush bubbling under the surface. Katter is tapping into a political stance that has been simmering for over a century. However, there is another issue of political independence just beneath the surface in north Queensland — the creation of an Australian republic. These two ideals were once cornerstones of the political view of the Charters Towers republican and later Western Australian politician, F.C.B. Vosper. One wonders where the maverick Bob Katter stands on this question. If he is successful in calling for a referendum in 2012 council elections on a new state of North Queensland will he call for an independent republican state?